We at The 2 Degrees Foundation believe in the power of community. 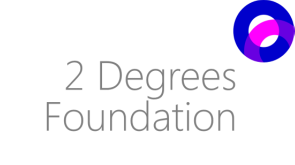 Help us build a stong following by becoming a member of The 2 Degrees Foundation. As a member you will receive updated information regarding foundation news and events. We will also inform you of specific member needs such as call to actions, social media support, and volunteering. Becoming a member of The 2 Degrees Foundation will not cost you any money and your involvement is completely optional.